Arsenal reportedly made a surprise 100 million offer to FC Barcelona to sign Ousmane Dembele (via Sport Witness). It was a relatively quiet deadline day for Arsenal, something which most Gunners fans were somewhat expecting considering the summer’s business. Unai Emery reinforced key areas with the signings of Bernd Leno, Lucas Torreira and Sokratis Papastathopoulos but there are still some areas of weakness. Many Arsenal fans have doubts over the centre of defence but perhaps the biggest weakness in the squad is the lack of a wide player. Well, it has been reported that the Gunners made a surprise deadline-day move for the French World Cup winner Ousmane Dembele. It has been reported in Spain that the Gunners made a €100 million loan offer to FC Barcelona which included a €10 million loan fee before a €90 million transfer next summer. The Spanish obviously chose not to accept the offer considering how late it came in the window but it is still encouraging to see if these reports are true. 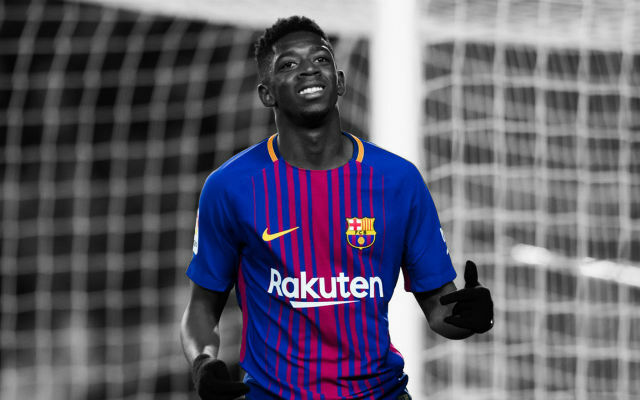 Ousmane Dembele is a fantastic player and would be an unbelievable signing for the club.